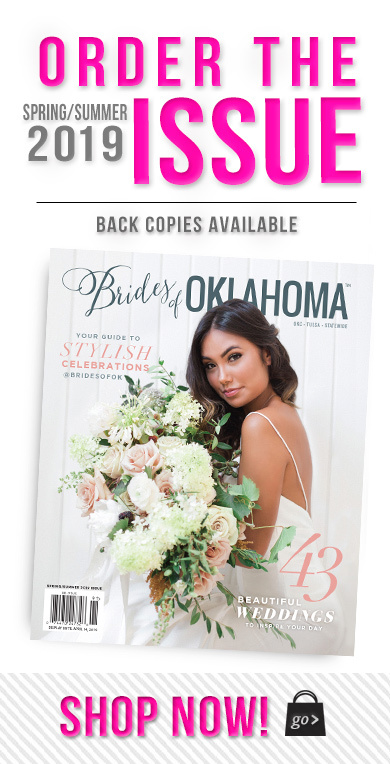 Beauty insight for the big day is on every bride’s mind, so we sat down with Oklahoma wedding hair and makeup artist Hannah Miller to bring you the 411 on the latest bridal beauty tips and trends! 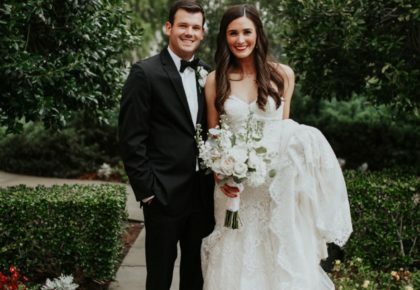 Read on for her expert advice to make sure you’re every bit the blushing bride on your wedding day! Q. What advice do you have for a bride trying to find the right look for her day? A. My advice is to take a step back from Pinterest and think about what looks make you feel best about yourself. Do you love accentuating your eyes? Do you feel most beautiful with down, flowing hair? 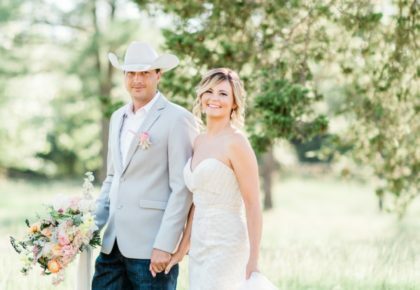 If a smoky eye makes you feel weird, it’s not going to be the right choice for you on your wedding day! Once you have an idea of what makes you feel like your best self, go to town pinning all the inspiration! Q. Do you recommend doing a trial run before the big day? A. I personally require all my brides to have a trial prior to their wedding day for a number of reasons. It gives us a chance to communicate and find what you are looking for in your look. We get the chance to see how products work (or don’t work) for you, and how we may need to tweak things for the wedding day. It’s also a time to see the whole picture come together and see if it is truly YOU. Q. What beauty trends do you predict for this Fall/Winter? A. Skin is in! Beautiful, healthy, glow-from-within skin doesn’t have a season and it never should. Contouring is on it’s way out, and as always, we’ll see deep plum and red lip colors make a reappearance. I’m never mad about that one. Q. What should a bride do to prepare for her wedding? A. The best thing you can do is to take care of your skin and drink TONS of water! That glow-from-within really comes from within, and water is the way to get it! Dermaplaning is also a great way to remove dead skin, peach fuzz and dirt from your skin to reveal a perfect wedding day complexion! 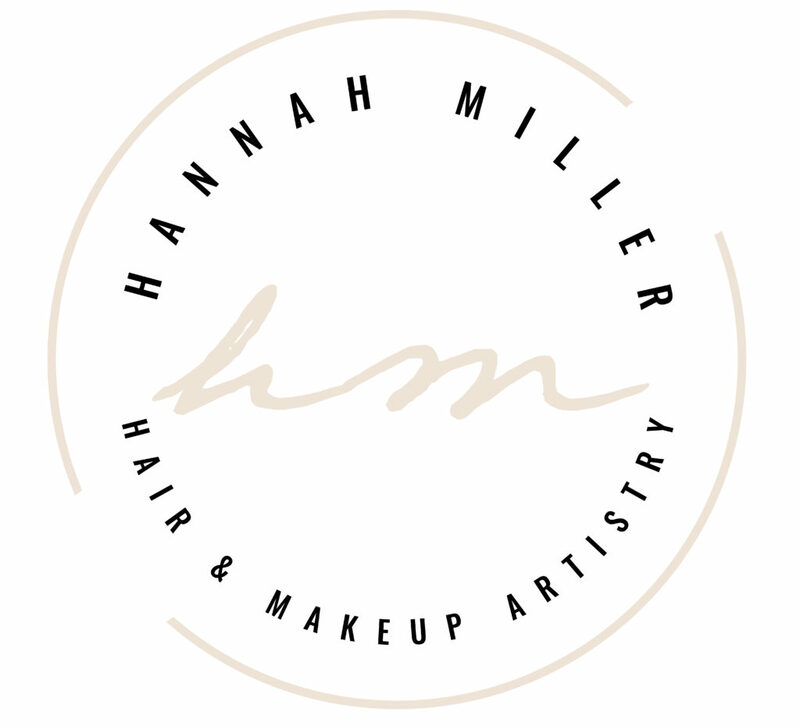 I also highly recommend consulting with your hair stylist to see if any haircuts/hair extensions would help you achieve your desired hairstyle for your wedding day. Q. 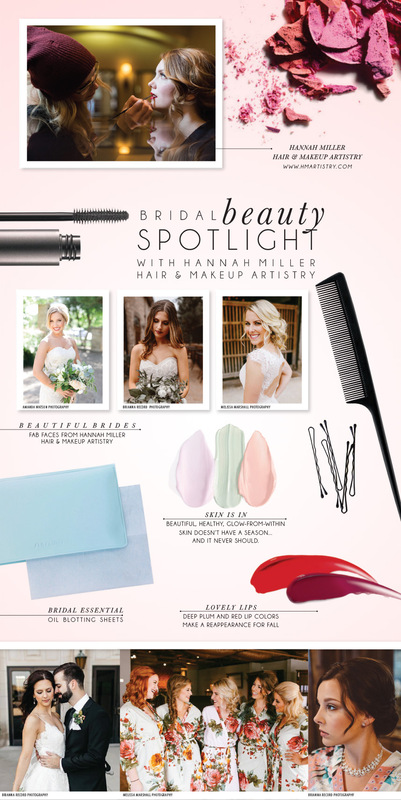 What is the most important beauty and/or hair product every bride should have? A. 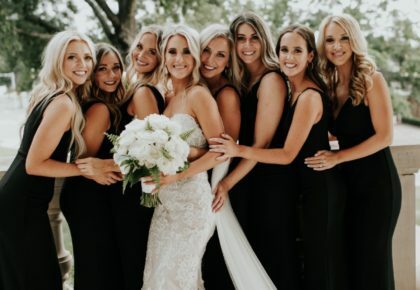 As a hair and makeup artist, I do everything in my power to give my brides a look that needs no touch ups throughout the day. But if your crazy uncle drags you onto the dance floor for an hour leaving you a shiny, hot mess, you need some blotting papers, girl. Blotting papers, a little lip gloss, and maybe a mini hairspray to tame those crazy baby hairs, and you’re good to get back out there! Q. Any other insider tips you have for brides-to-be? A. My best advice is to feel free to openly communicate with your stylist. Even if you don’t know how to put it into words, let her know that something feels off and she’ll be able to work with you to find out what it is. Also, take a breath and remember that at the end of the day you’ll be going to a really fun party with all your favorite people.